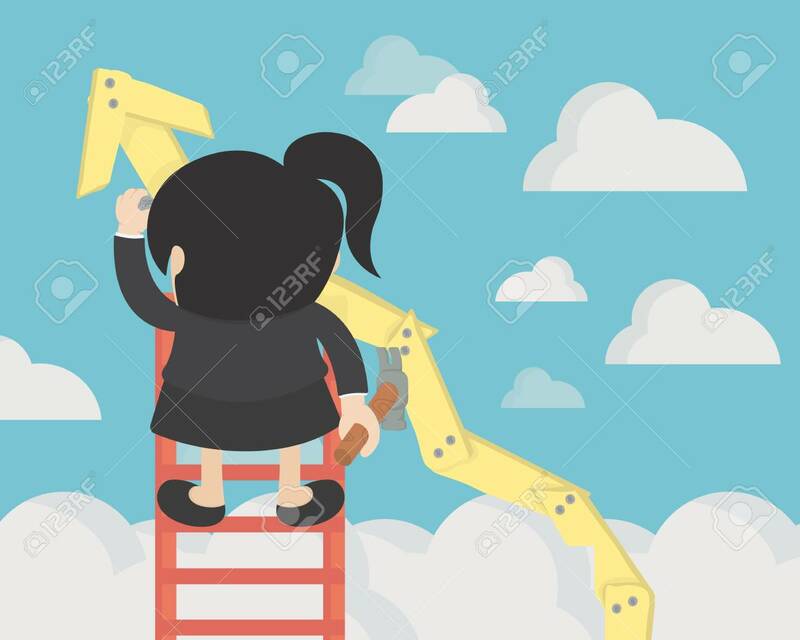 Business Woman Create Stock Route Up By Oneself Ladder Against The Sky. Education And Success Concept Clip Art Libres De Droits , Vecteurs Et Illustration. Image 115060830.